PULLMAN, WA (July 11, 2018) - Top seeds Alivia Brown of Gig Harbor, Wash. and Amanda Jacobs of Portland, Ore. navigated through their respective brackets to advance to the Quarterfinal rounds of the Pacific Northwest Women’s Amateur and Women’s Mid-Amateur Championships. Both championships are being held concurrently this week on the par-72 Palouse Ridge Golf Club in Pullman, Wash. and conducted by the Pacific Northwest Golf Association (PNGA). Brown finished runner-up in the 2015 PNGA Women’s Amateur. She is a recent graduate of Washington State University, where she played four years on the women’s golf team, and is playing this championship on the team’s home course of Palouse Ridge. She had won the 2015 Washington State Women’s Amateur, and was named the 2015 WSGA Women’s Player of the Year. Also advancing in the Women’s Amateur is the No. 2 seed Gigi Stoll of Tigard, Ore., who recently led her University Arizona women’s golf team to the NCAA D-I National Title. Stoll made it to the quarterfinals of last year’s Women’s Amateur, and has been named PNGA Women’s Player of the Year three times (2014, 2015, 2017). Jacobs has won the Mid-Amateur championship twice (2014, 2016), and made it the semifinals in last year’s championship, and was named the PNGA Women’s Mid-Amateur Player of the Year in 2015, 2016 and 2017. Advancing along with Jacobs to the Mid-Amateur Quarterfinals is the No. 2 seed Gretchen Johnson, also of Portland. Johnson finished runner-up in last year’s championship, and will be looking to take it all the way this year. 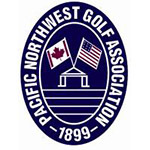 The Pacific Northwest Women’s Amateur and Mid-Amateur are two of 15 major, regional, amateur championships for men, women, juniors, and seniors conducted annually by the PNGA throughout the Northwest. Stroke Play – All players must complete the 36-hole stroke play qualifying in order to determine the 32 players who will advance to match play. In the event of a tie for the final qualifying spot(s), a sudden-death playoff will be used to determine the qualfiiers. In the event of a tie for the Qualifying Medalist, a sudden-death playoff will commence. Match Play – The General Numerical Draw will be in effect. Single elimination match play, with a 36-hole Championship Final Match. All other matches are 18 holes.